CIA operative James Silva leads a small but lethal paramilitary team on an urgent and dangerous mission. They must transport a foreign intelligence asset from an American embassy in Southeast Asia to an airfield for extraction -- a distance of 22 miles. Silva and the soldiers soon find themselves in a race against time as the city's military, police and street gangs close in to reclaim the asset. 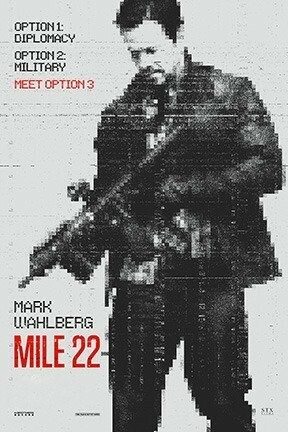 Mile 22 is not showing in any theaters in the area.